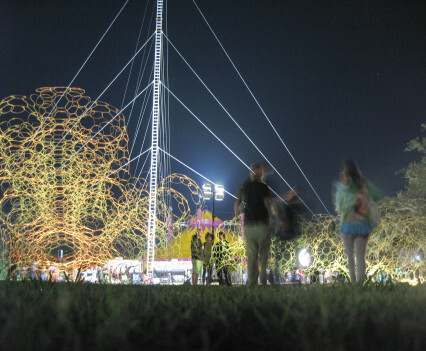 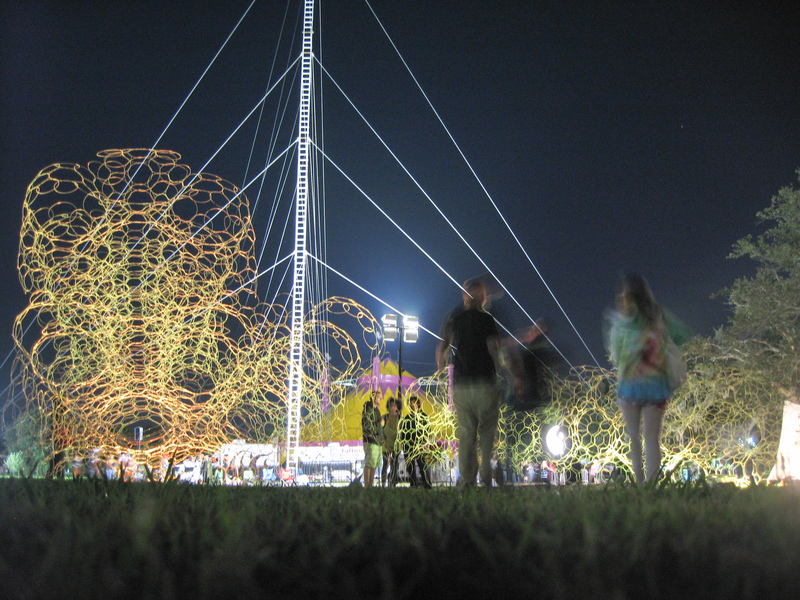 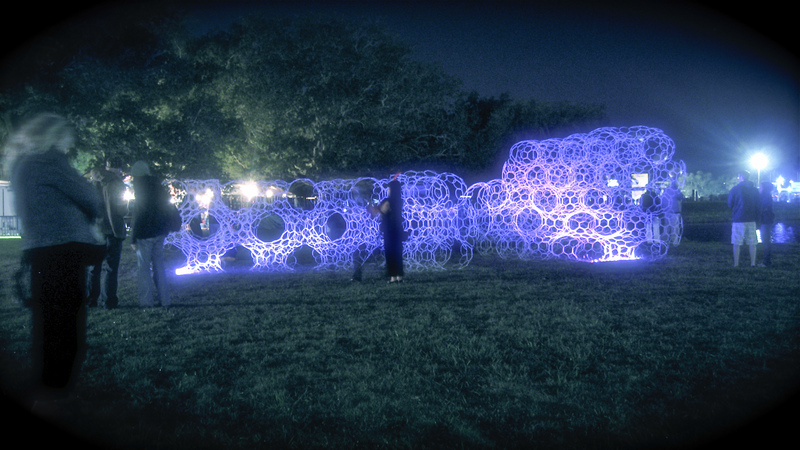 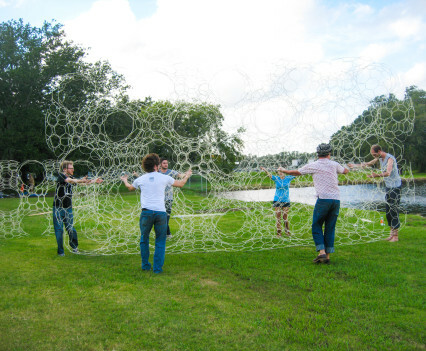 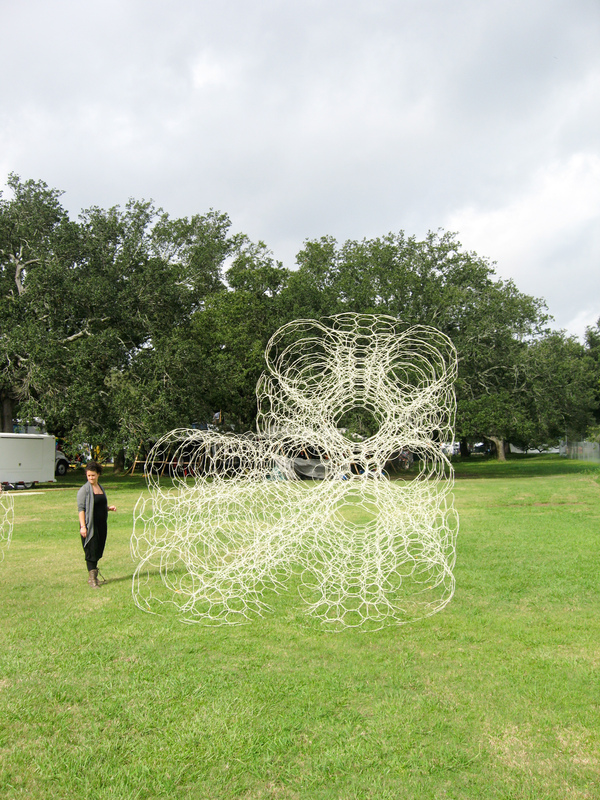 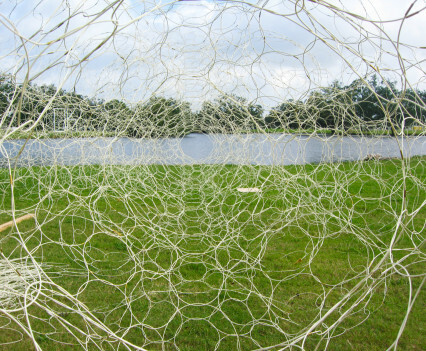 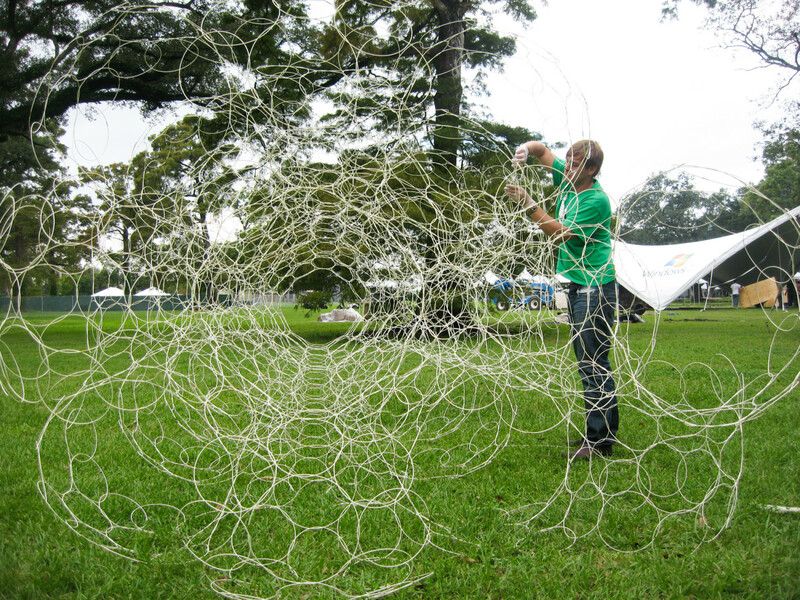 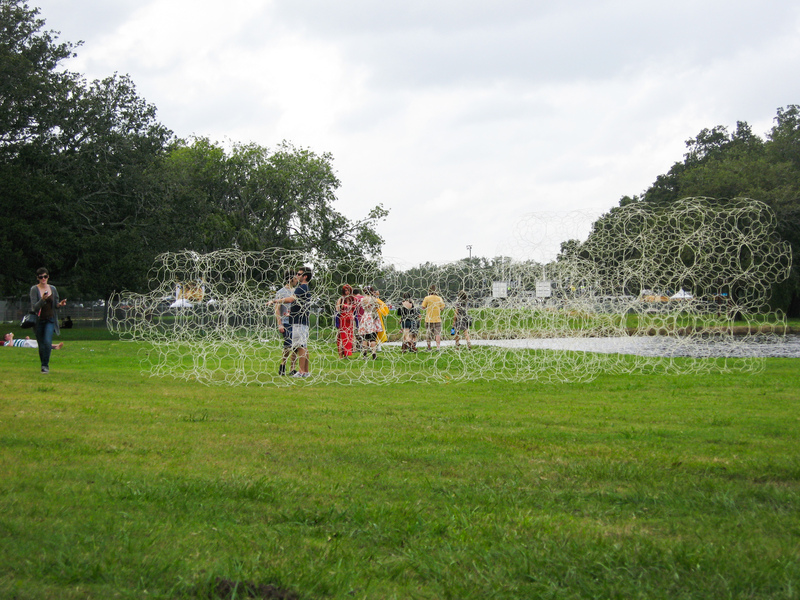 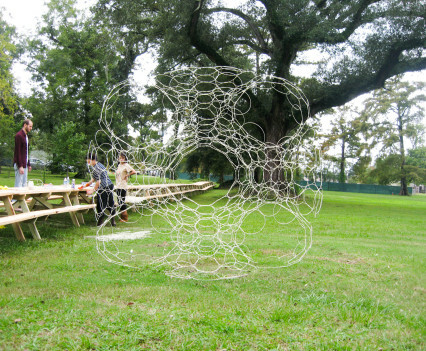 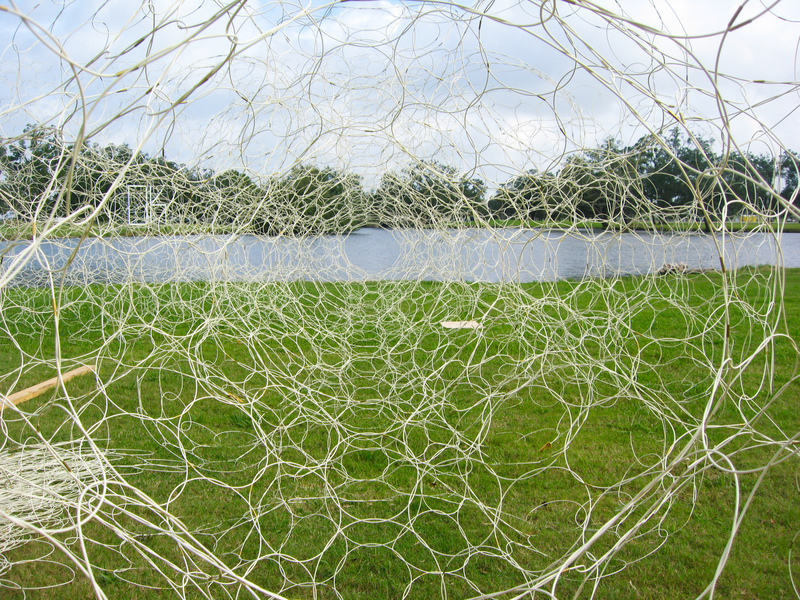 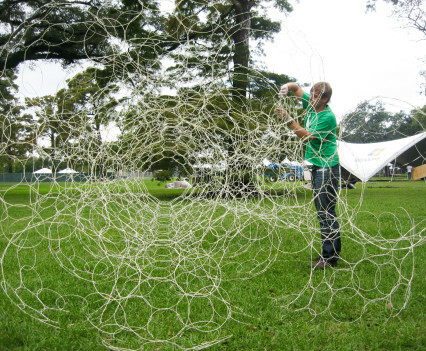 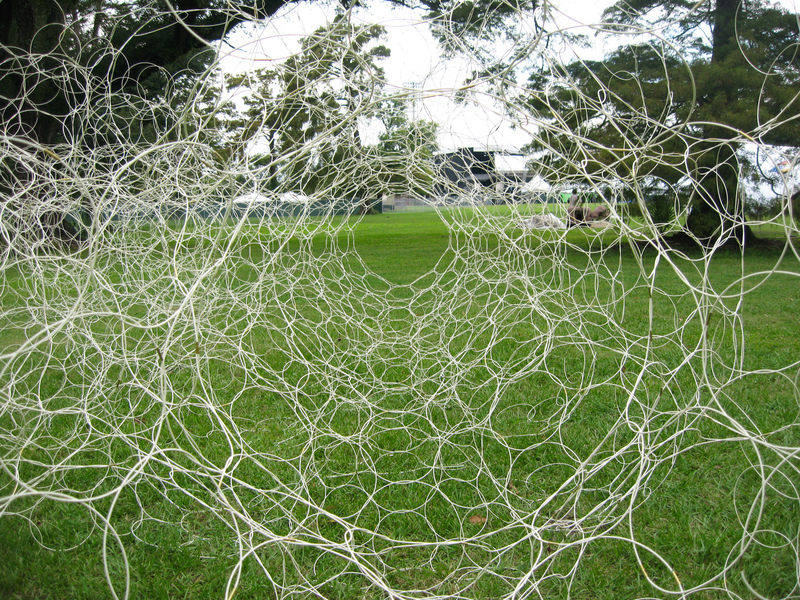 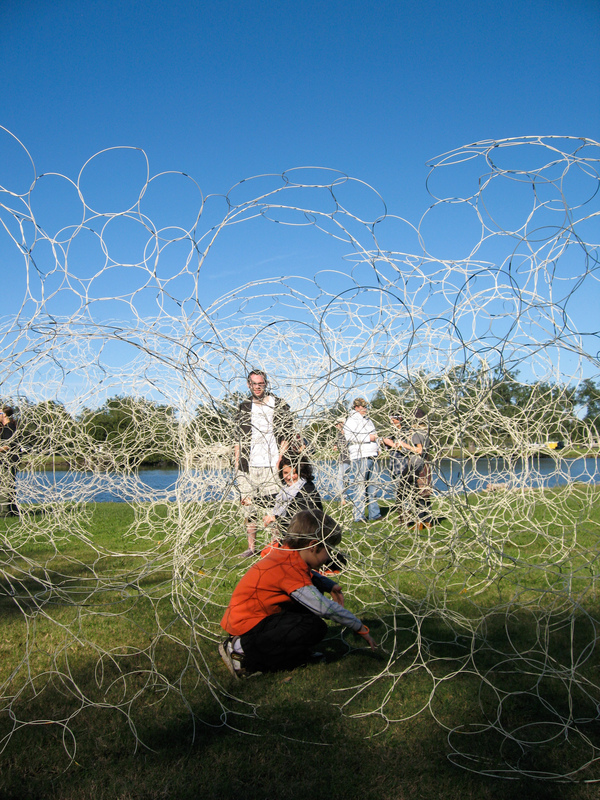 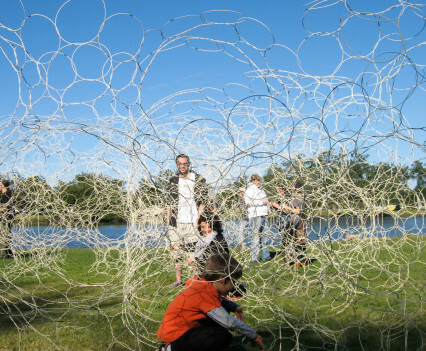 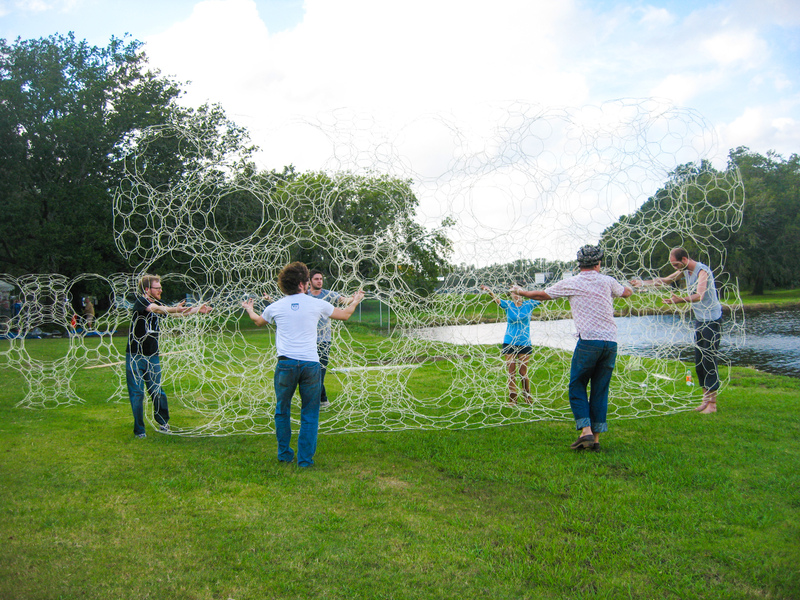 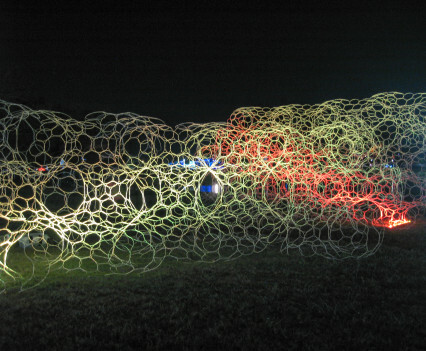 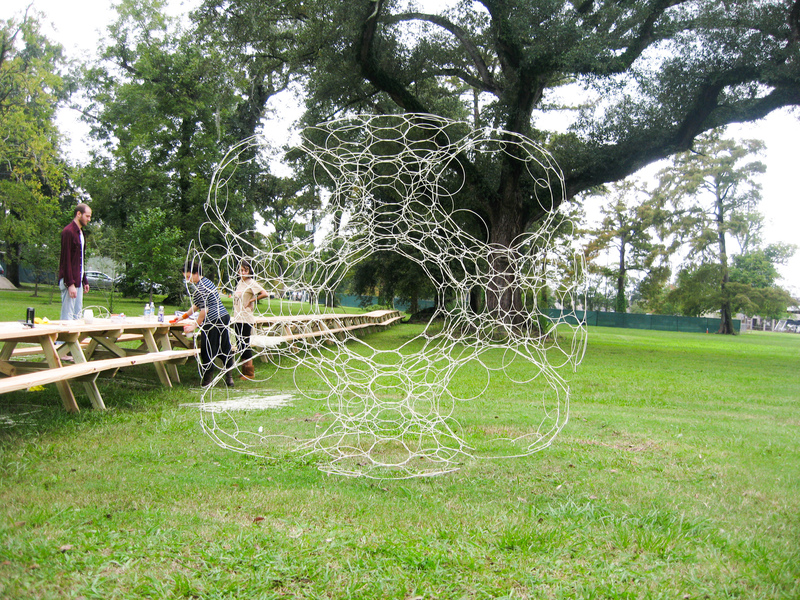 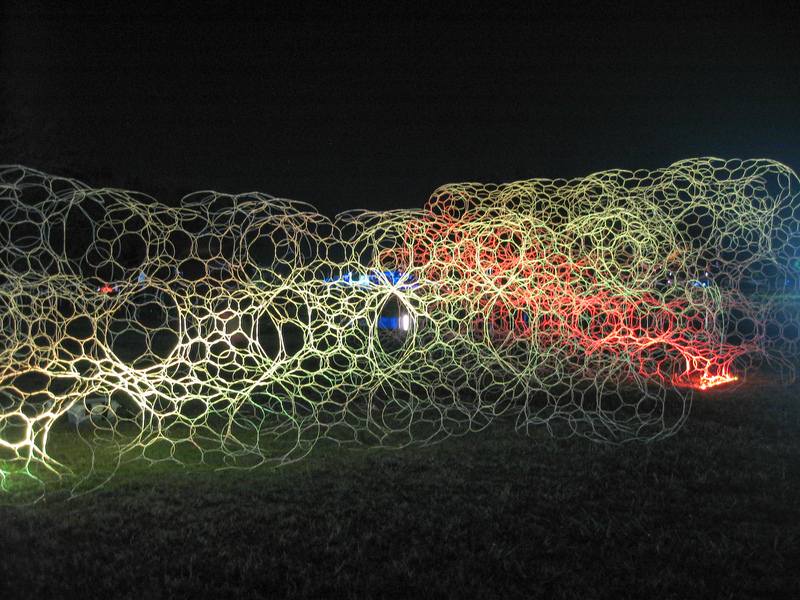 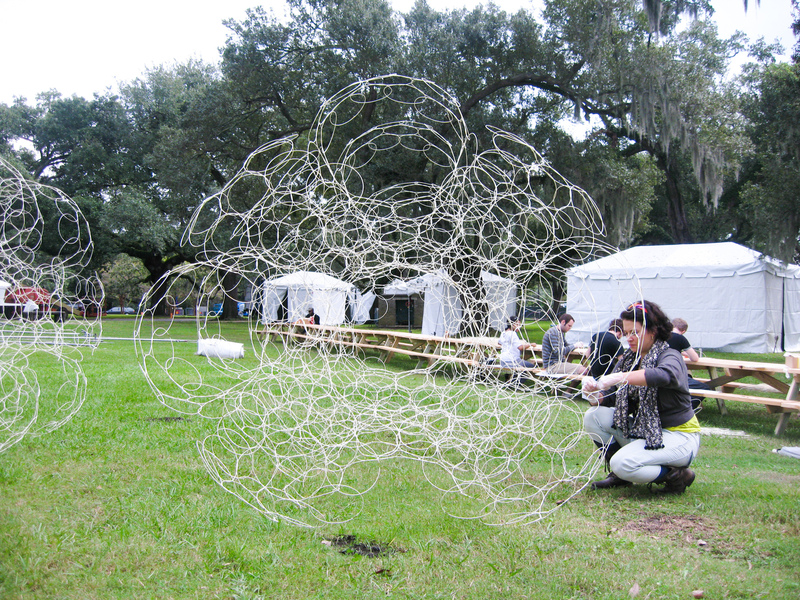 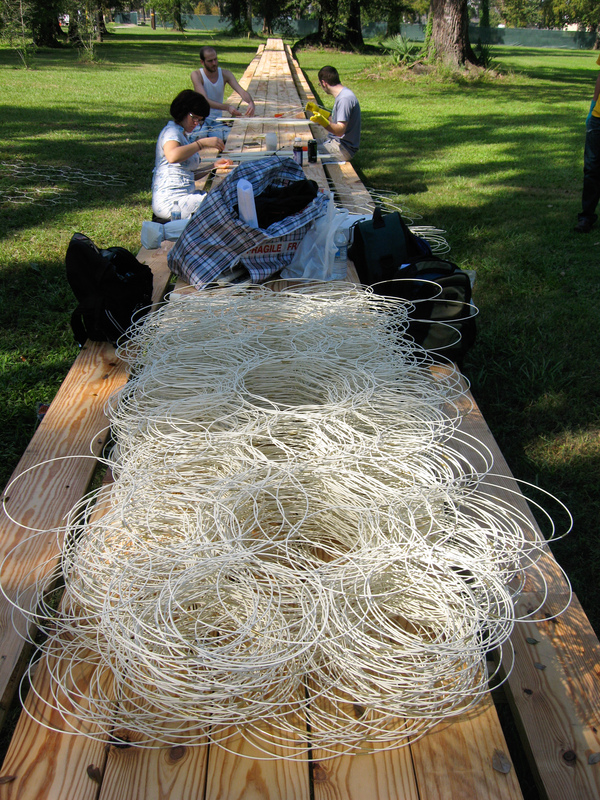 We were commissioned by Life-is-Art to create an ephemeral art pavilion for the Voodoo music festival 2009. 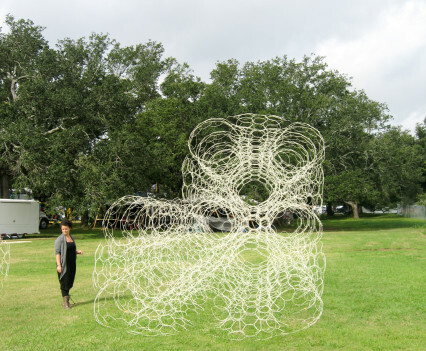 The pavilion is an experimental structure exploring the strategic linking of advanced geometry, composite materials and emerging expertise in ecology to create site specific interventions in challenging urban environments to help create micro climates that support food production. 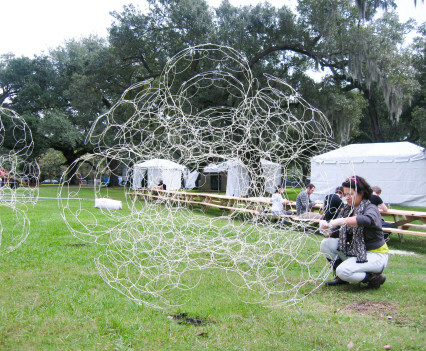 The space will be used as a light installation during the Voodoo festival and than relocated to the Botanical Gardens where plants will be integrated to explore the concept of foliage feed. 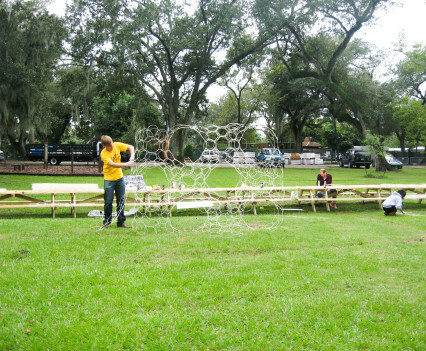 The self supporting structure is based on a cubic P-Surface brick which is 50 x 50 x 50’’ large. 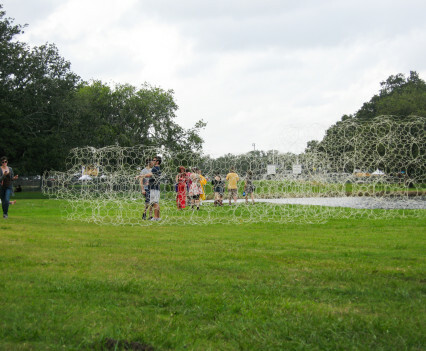 A total of 70 of these bricks are joined into a continuos structural membrane that will provide the skeleton for all other materials and plants to be integrated into. 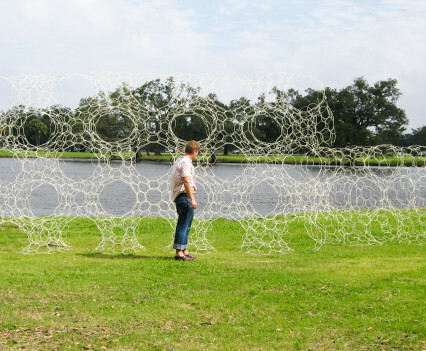 The structure is made of woven composite loops. 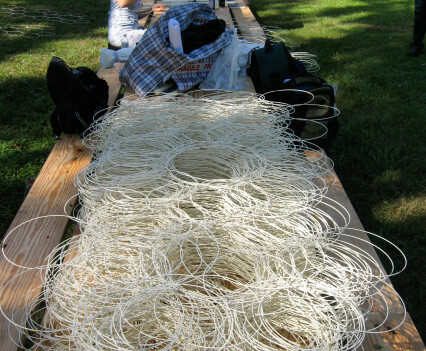 Additional carbon fiber tubes are integrated where more stiffness is required and tensioned together using steel wire, where necessary. 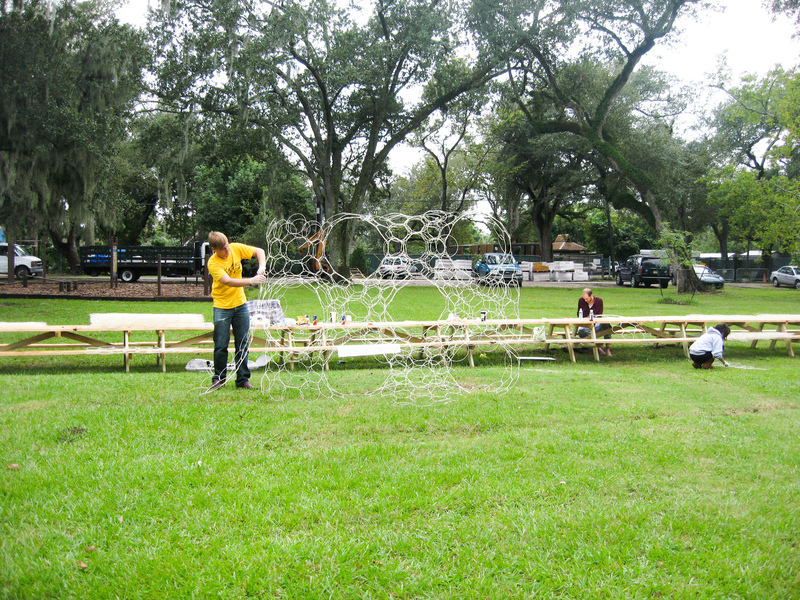 The P-Surface shown above was the first triply periodic minimal surface discovered. 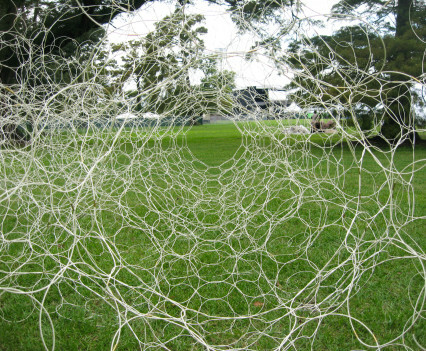 It took another hundred years until a NASA researcher made a major breakthrough in this field in the 1970s. 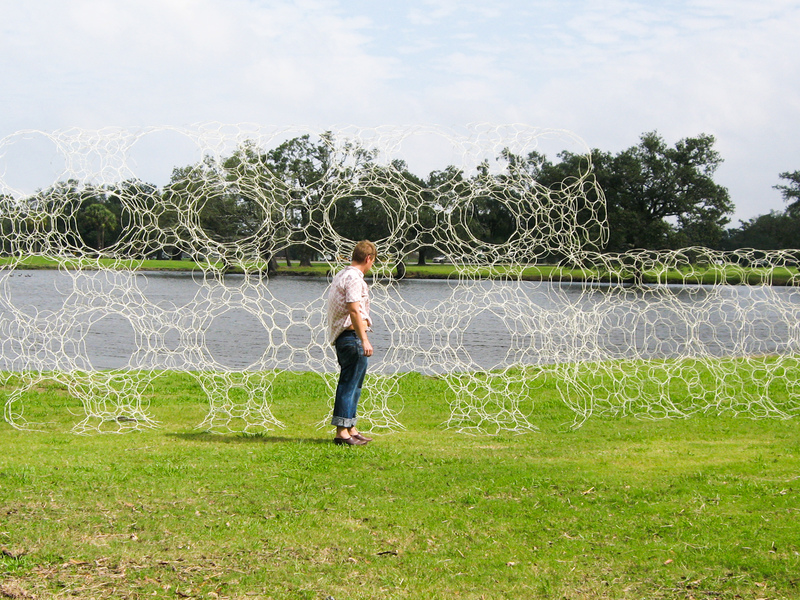 The single continuous membrane describes an all space filling 3D tile, which we are now exploring as a blueprint for a new type of greenhouse to be integrated into dense urban environments. 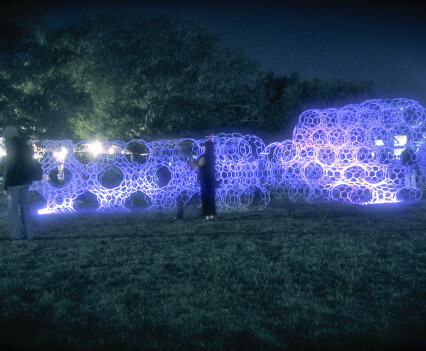 Share the post "Pavilion of the Four Winds"